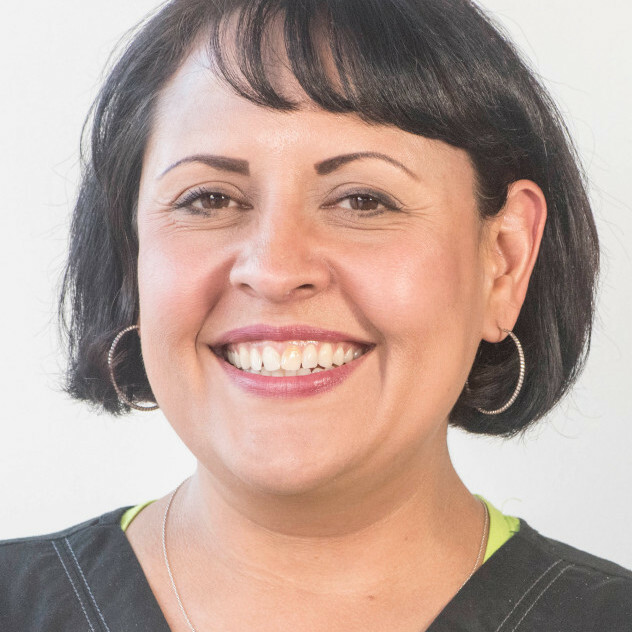 Monica, originally from El Paso, Texas, studied dental assisting at CNM and became licensed as a Certified Dental Assistant and then later as a Certified Preventive Functions Dental Assistant. She worked in pediatric dentistry for two years and then came to us where she has worked since 2011 at our front desk. Monica and her husband have horses that receive training from her husband for professional horse races. Her exuberant personality makes everyone feel welcomed and well cared for. She is fluent in Spanish, and she says she plans to stay with us until the day she kicks the bucket.